The earthquake that struck northern Italy on Sunday took lives, injured many people, destroyed countless homes, and ravaged cultural treasures. The region, and all of Italy, will feel the effects for years. But you may feel the effects as well. At least your dining table or your pocketbook may. The devastated region, Emilia-Romagna, produces some of Italy’s finest cuisine and the basic ingredients that create it including cheese, wine, prosciutto, and balsamic vinegar. 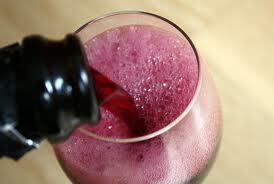 The wine, called Lambrusco, is cultivated from a grape that dates to the Etruscans. While people in the US probably know the sweet variety better, Italians prize the dry one. According to news reports, the quake damaged several factories that produce the wine, but it’s unclear if the vines themselves were hurt. Ironically, the town of Viadana, within the quake area, celebrated a Lambrusco festival Saturday; it had been scheduled to continue Sunday. Yesterday, I saw Lambrusco on sale at a local supermarket, obviously part of a long-planned promotion. I suspect that the wine will be off the shelves at that low price today. And since Italian vendors don’t offer rain checks, I also suspect that it will reappear in a couple of weeks at a higher price. Lambrusco is drunk young, so even if a warehouse of bottles was destroyed, it won’t take a long time to recover. For balsamic vinegar producers, on the other hand, it’s quite a different story. 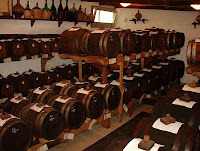 Only Modena and nearby Reggio Emilio produce true Balsamico and age the most revered for up to twelve years. A destroyed warehouse of that represents more than a decade of work. 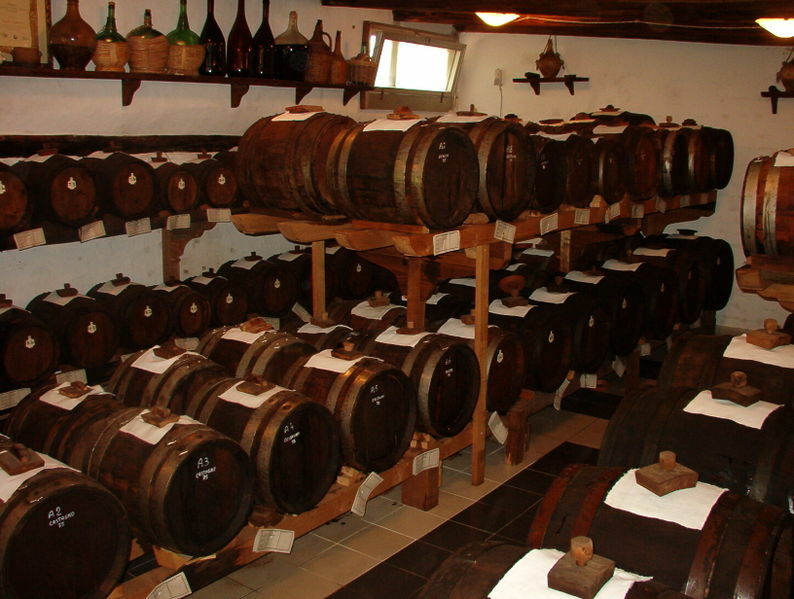 Thousands of liters of balsamic aging in the casks have been lost. The tallies are still underway to assess the extent of the damage. You have probably seen the destroyed warehouses for aging Parmigiano Reggiano cheese. Early estimates suggest that the quake damaged or destroyed as many as 500,000 wheels, with estimates as high as a million euro in losses. Food inspectors are currently trying to see how much can be salvaged. Some of the cheese near the end of the aging process can be saved. If the wheels have been merely broken but not contaminated, the cheese can be vacuum-packed and sold. Any cheese adulterated must be destroyed. The broken wheels of cheese that have just begun to age must also be destroyed. Grana Padano, another cheese from the region, suffered damage as well. The production area spans a larger area, so the percentage of loss will probably be lighter. That, too, remains to be seen. 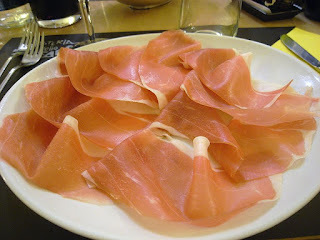 And finally, prosciutto—ham. Specifically, we’re talking about Parma ham, the best of the best. Farms raising the pork that will become Parma ham and several factories producing it have also been struck. The agricultural consortiums and the unions have requested government financial help, including relief from taxes due in June, but those decisions await resolution. So, if you’re eating Italian today, or later, think about these losses. We’ll all be affected for a long time to come. Devastating for the area, its economy, and for us. Heartbreaking. Thanks for your comment, Viva. I didn't feel this earthquake nor the aftershocks, but I did feel the one in L'Aquilla a couple of years ago--and aftershocks. This one has destroyed so much. Wow, I never thought about the culinary repercussions. The images of damage done to the lovely historic buildings was sad enough. It's really devastating, Nancy. Thanks for your concern. So sorry to read about this. I hope, such as it helps, that the region is less damaged than was first thought, and that the people whose property did suffer damage are able to recover quickly. Valerie, thanks for your concern. I'm afraid the damage is real.